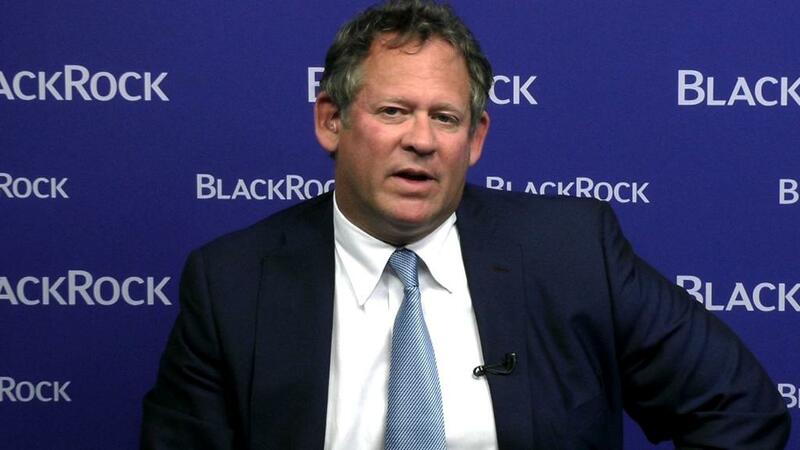 BlackRock executive Rick Rieder doesn't think the Federal Reserve is going to raise rates much next year. Rieder believes the Fed will raise interest rates three or four times this year. Although most analysts predict the Fed will raise rates another four times in 2019, Rieder said he'd "cut that number." "We are going to be in a low rate environment for a long time," he told CNNMoney anchor Maggie Lake on "Markets Now" on Wednesday. "I don't think the Fed's going that far, after they get through the moves they're going to do this year," said Rieder, a managing director and the global chief investment officer of fixed income for BlackRock. He does think that the Fed will raise rates as inflation ticks up, but Rieder said that a strengthening dollar, among other factors, could keep the Fed from raising rates too often. The projection has made him confident that a short-term investment in US Treasury bonds is a good bet. Investors who focus on two-year treasury yields, he said, "can sleep at night." "For the first time in a while you're getting some real income from it." And US government bonds remain a good investment compared to other countries' debt. "The European Central Bank can't do a lot, the Bank of Japan, they're not creating enough inflation ... so it's hard for our US interest rates to move significantly higher." CNNMoney's "Markets Now" streams live from the New York Stock Exchange every Wednesday at 12:45 p.m. ET. Hosted by Lake and CNNMoney editor-at-large Richard Quest, the 15-minute long program features incisive commentary from experts. Recent guests include former Chrysler and Home Depot (HD) CEO Bob Nardelli and Bitcoin bull Mike Novogratz. On Wednesday, CNNMoney's Paul R. La Monica also discussed Disney's performance following ABC's cancellation of "Roseanne." The company's stock slumped about 7% this year. So far, he said, the decision has not moved the needle for Disney (DIS). Disappointing "Solo" sales and other concerns have dragged shares down. — CNN's Alanna Petroff, Donna Borak and Nathaniel Meyersohn contributed to this report.